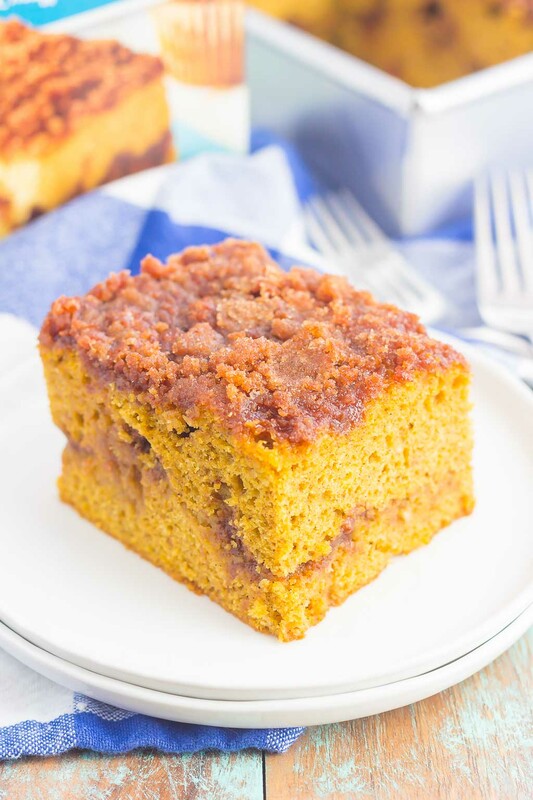 This Gluten Free Pumpkin Cinnamon Crumb Cake requires just a few ingredients and is ready in no time. 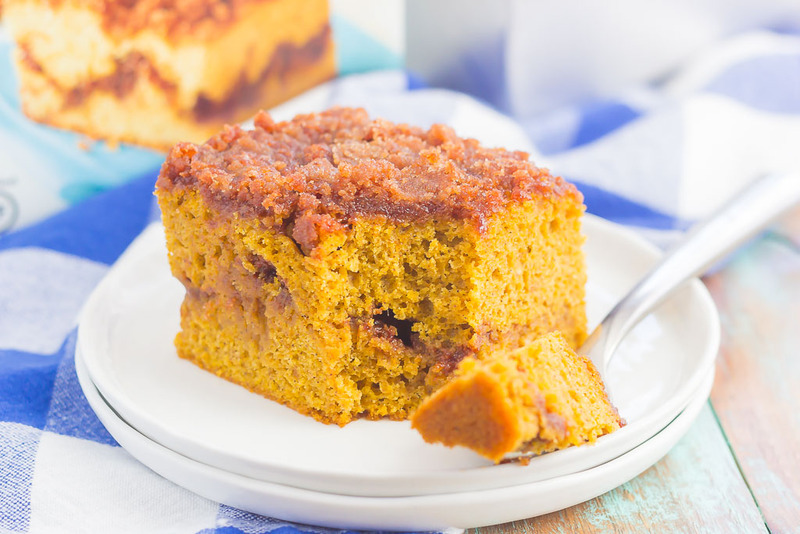 Fluffy pumpkin cake is swirled with a sweet cinnamon streusel and then baked until golden. 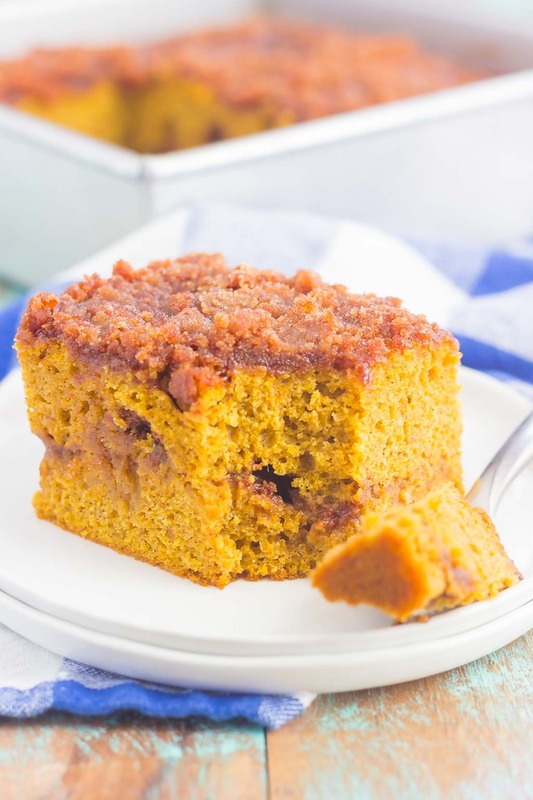 This easy cake is perfect to serve at all of your holiday gatherings! We’re just three days away from Thanksgiving, friends! How are you feeling about that? Are you hosting? Bringing some dishes to share? Or just tagging along for the food? I don’t host turkey day, so I’m looking forward to food, food, and more food! The hubster and I are going to my in-laws for dinner and then to my parents’ house for dessert. Although I’ll be in charge of bringing some kind of dish, I usually skate through Thanksgiving without any stress. But, if you’re in need of an easy dish for hosting or sharing this holiday season, I’ve got you covered! I’m usually always on point with simple dishes, but when the holidays arrive, I try to pull out all of the tricks I can get my hands on to make everything easy, delicious, and (mostly) stress-free. 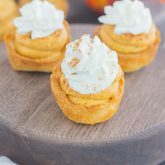 Pumpkin and cinnamon. It really is the best combo, friends! Especially when Krusteaz is involved. I used their new Gluten Free Cinnamon Crumb Cake and Muffin Mix to whip up this deliciousness. And let me tell you, it is oh-so good! You can’t even tell that this is gluten free, it’s just that good. Another thing I love about this Gluten Free Crumb Cake is the texture. 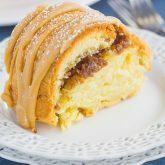 The cake bakes up soft and fluffy, with a sweet swirl of cinnamon streusel in the middle, and then even more layered on top. And remember, it’s all gluten free, too! 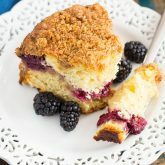 Like most of my recipes, this crumb cake really is a breeze to make, thanks to Krusteaz. Just a few ingredients and some oven time is all it takes until this soft and moist cake is ready to be devoured. And let’s not forget about how heavenly it will smell in your kitchen. 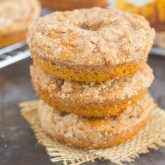 Pumpkin and cinnamon really is the best combo! 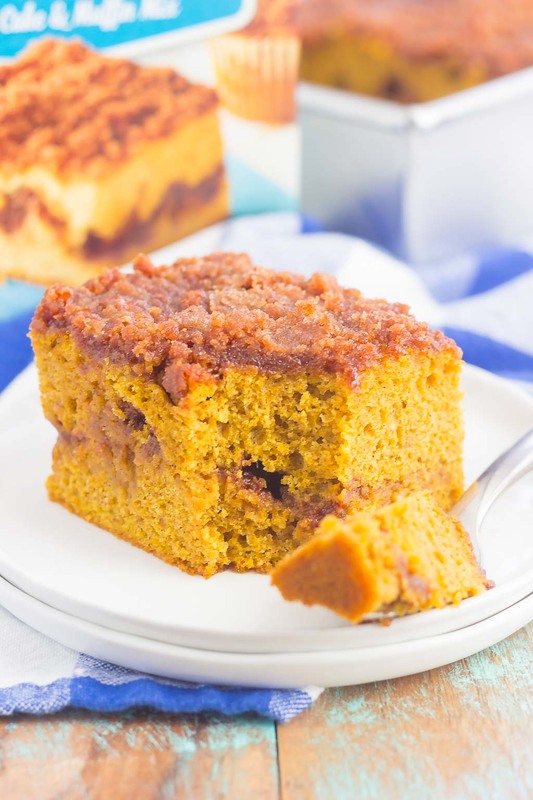 So if you’re entertaining for the holiday season and need an impressively easy dessert to make, this Gluten Free Pumpkin Cake is it. It’s warm, cozy and just the treat for the holidays! Preheat oven to 350F. Lightly grease an 8x8 baking pan with non-stick cooking spray. 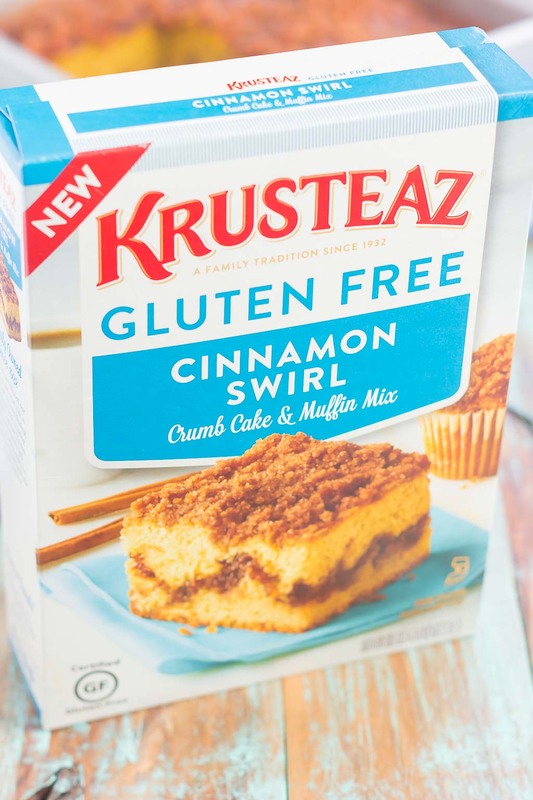 In a large bowl, stir together Krusteaz Gluten Free Cinnamon Crumb Cake and Muffin Mix, water, oil, eggs, pumpkin, and pumpkin pie spice. Spoon half of batter into the pan and spread evenly. Sprinkle half of the cinnamon topping over batter. Drop remaining batter by small spoonfuls over top layer and spread to the edge of pan. Sprinkle remaining cinnamon topping evenly over batter. Bake for 48-52 minutes, or until toothpick inserted into center comes out clean. Let cool in pan for 5-10 minutes before serving. Such a beautiful cake. Love how moist it looks.. And that cinnamon swirl just takes this cake to an another level.. Just wow! Thanks for the cake love, Arpita!